individual serving a team goal. rather abruptly end if an older couple or a woman walked by. All of us would stare at the ground, shuffle our feet, and remain mute until they passed, often under their disapproving glances or stares. Even the true hell raising burnouts who lived by expressions such as, “What’s the word? Thunderbird! How’s it sold? Nice and cold! What’s the price? Forty twice!” who were in retrospect, thirteen year old alcoholics, behaved around the town elders. The powerlifting scene was very similar in the 1960s, with the slow and gradual erosion of manners and camaraderie over time. I always believed that the reflection of attitude, behavior, and what becomes acceptable or unacceptable in any small corner of society, is a reflection of the broader culture. If one were to observe a day, any day in our office/rehabilitation facility, the primary topics would be health care, training and lifting of course, but there would be a dose of sports, cooking and recipes, and conservative leaning politics. A statement made by one of our regular patients and trainees within the past week was typical but he noted specifically that football has “become a celebration of me” and it has taken its toll on what has been and is supposed to be the ultimate and last of the team sports. Winning, the ultimate team goal in any game, has fallen by the wayside, secondary to a player’s individual performance and accumulation of statistics. 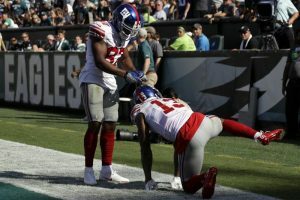 He noted that after poor performances, numerous NFL players in multiple instances offered apologies to their Fantasy Football fans, with the reminder that Fantasy Football is just that, fantasy as per something that does not exist in reality but is instead, a fabricated construct. This, he noted, is yet another reminder that it is “about their statistics, about them” and not the reality of their team, the team that actually pays their salaries and employs them, winning or losing. I have no doubt that many players spend more time thinking about, planning, and practicing their post touchdown celebrations than they do the responsibilities of playing or mastering their on-the-field position. It is about celebrity, being a celebrity, being known, being recognized, being “somebody,” with goals related to the greater good falling by the wayside. The self-centered athlete is an obvious example of a society that emphasizes celebrity status and strives for it, no matter how fleeting. The glut of ridiculous and obviously stupid reality television shows that highlight horribly unacceptable behavior can be justified only by a culture whose focus is on the importance of being seen as “a known figure” or hopefully, recognized when out in the public. There is no other justification for allowing public access and observation of personal behavior that can only be interpreted as absurd, clownish, or unacceptable even for a pre-teen. Thus what my patient accurately described as a “celebration of me” is in fact the reflection of a new and expanding culture that encourages self- centered, attention getting behavior. That said, I attended a powerlifting contest in Latham, N.Y. near the Albany area a week ago and purposely held off writing my usual monthly column for TITAN SUPPORT SYSTEMS until the contest experience was completed. I know that whenever I am involved in any way with a powerlifting meet, even as a “regular observer or fan,” some point will be made worth repeating, if only to the small group of followers who I speak or communicate with weekly. This event was no different. 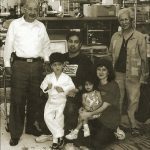 Kathy and I have been removed from the competitive powerlifting scene other than occasionally coaching one of our young lifters at a regional/area contest and the hosting of our annual July driveway contest that has been written about extensively over the last three years in this series of blogs/articles. I am proud of my involvement in powerlifting that dates to the early 1960s odd lift contests and the first days of the sport as an organized entity, proud of competing often and gleefully despite never lifting as much as I either wanted or intended to, proud that I was asked to and successfully edited or wrote almost in full the rule books for three governing organizations, proud of the numerous contests that Kathy and I directed, proud that I have contributed to the prototyping of much of the powerlifting equipment, barbells, and plates that are taken for granted as “standard,” and certainly proud of my writing and editing efforts in Powerlifting USA Magazine and many of the other muscle and lifting publications dating back to 1969. I am most proud of my wife’s many accomplishments as one of the pioneering female powerlifters who was also one of the most accomplished lifters of her era. The Latham contest was directed by Ame and Gene Rychlak for their REVOLUTION POWERLIFTING SYNDICATE and I will have many positive things to say and points to make about the actual contest and the mechanics of running it, the meet facility and its owner Matt Doheny, and reuniting with the Albany area lifters, many of whom were regulars at the contests Kathy and I held at our Iron Island Gym through the 1990s. One of the first of the “old days” lifters I was reacquainted with was E.C. 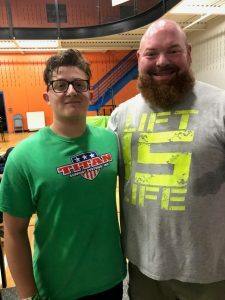 Stumpft, a former college football player and team captain who had for years been a top notch competitor, friend of everyone at TITAN SUPPORT SYSTEMS, and was now helping to coach a number of young lifters at this contest. One question he asked led to this column and all of the thoughts expressed above. We briefly discussed the “state of the sport” and E.C. asked, “What do you think about the new generation of lifters? It’s different, isn’t it?” That will bring us to Part Two next month.